Jays are a Swedish company that first broke into the IEM scene with their first generation q-Jays back in 2007, (ed – which we reviewed here). Although well-received, the original q-Jays did not really obtain a high legion of followers at the time due to the in-ear monitors being relatively expensive for their driver configuration. Fast forward to today, Jays have revisited the drawing board and have released a much improved version of the q-Jays in-ear monitors. This time, they have adopted a myriad of technologies to enhance the now 2nd gen q-Jays’ sound quality, build quality and comfort levels. Touted as a “new reference”, this model is said to be the most precise instrument that they have ever made. Featuring custom-made balanced-armature drivers in a very small body, q-Jays have really tried to optimise ergonomics and on that front, you can see that they have certainly succeeded. They come in at 400 Euros which is more than double the price of their now discontinued predecessor. However, users can also opt for a specialised cable for Windows, iOS or Android for an extra 70 Euros as opposed to the default audio-only cable. The packaging of the Jays is among the best I have ever experienced from an in-ear model. It is evident that they have put an awful lot of thought into the design of their packaging from the minimalist feel, to the premium manual and the whole self-assembly kit experience. 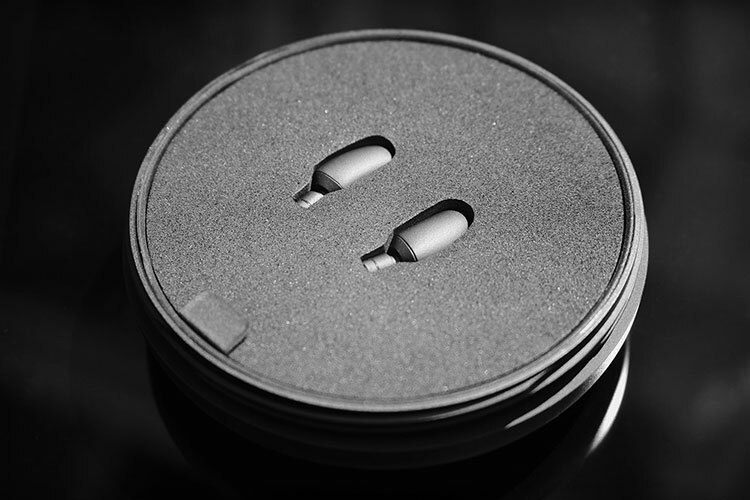 Starting from inside the box, there is a rounded case which unscrews to reveal two small housing units of the left and right q-Jays earbuds. Below the earbuds, there is a cable with an L-shaped jack. 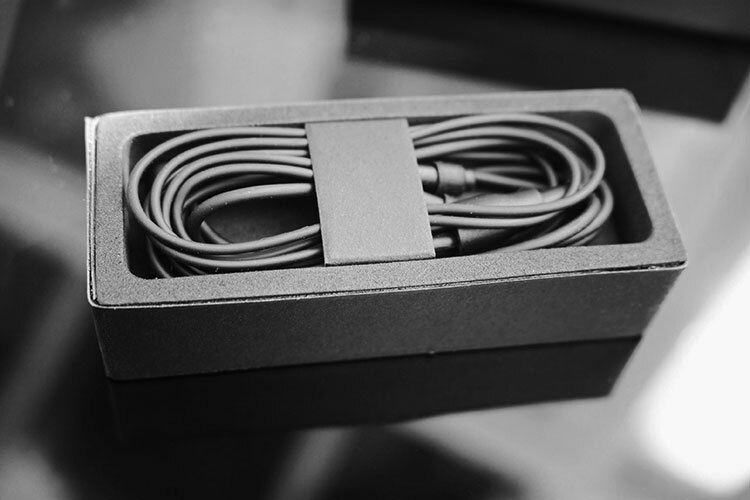 The detachable earbuds can be screwed onto this cable via the SSMXC connectors which are said to be amongst the smallest in the world. Despite their tiny size, they are very much durable with the screwing mechanism providing a perfect fit for each connection. A foam insert at the base of the packaging houses 5 differently-sized silicone eartips ranging from XXS to L and 1 Comply foam eartips. As mentioned before, quality is absolutely stellar. 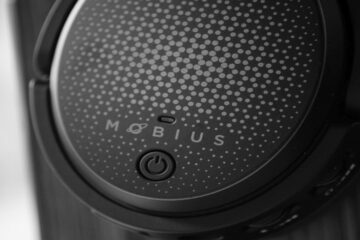 The housings of the in-ears are made from stainless steel which has been sandblasted and modified to create a matte-black scratch-resistant finish. The shape of the housings have been created using Metal Injection Moulding which a few companies such as RHA and Final Audio have now been doing to precisely manufacture a design that not only improves the sound acoustics but also the ergonomics of the earphones. There are little perks here and there which highlight Jays’ attention to detail and inventive flair; the removal sound filter being just one example of many. It is a honeycomb small structure in place designed to protect the inner drivers from dirt and debris. The removal filter can easily be unscrewed and cleaned effectively without damaging the inner filter and without compromising sound quality. With regards to the cable; the connections to the housings, the Y-split and the L-shaped Jack all look to be extremely durable and capable of surviving the wear and tear from the daily commute. 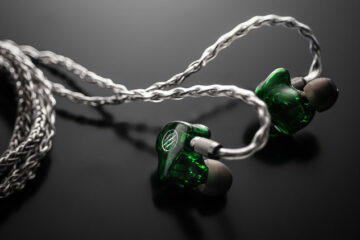 At any rate, I am astounded by q-Jay’s build which rivals that of RHA’s T10 and T20 IEMs. This is reflected in Jays’ generous 2-year warranty which shows confidence in their products as well as demonstrating their good customer relations. Owing to the small footprint of the q-Jays, I have got to say that these are the most comfortable universal in-ears I have ever experienced. They just fall short of custom in-ear comfort levels but are nonetheless, very impressive. Isolation levels are only slightly beyond average, however, with both the Rock-it Sounds R50 and RHA T10s delivering more reduction of ambient noises. This, I suspect, is due to the relatively shallow insertion and very small body of the q-Jays’ housing. The q-Jays are indeed a reference pair of earphones with the ability to extract spades of micro-details and presenting them in a relatively smooth signature. Unlike both the DUNU DN-2000J and the Rockit Sounds R-50, sibilance levels are kept to a minimum with an added focus to dampen down unnecessarily harsh highs. This is the result of a cleverly implemented tailor-made acoustic filter just in front of the balanced-armatures, to deliver a very detailed sound without the implications of fatigue. This small earphone really packs a punch with greater body and presence in vocals compared to the thinner note presentations of both the R-50s and DN-2000J. 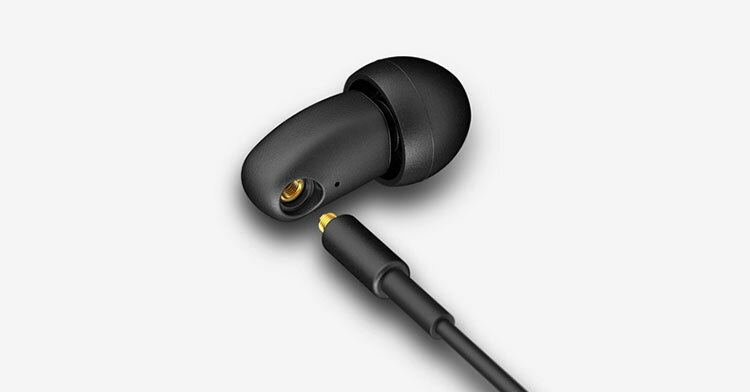 Characteristic of a typical balanced-armature earphone, the bass is responsive, tight and fast. Uncharacteristic of a balanced-armature earphone, however, the bass has a respectable amount of body which prevents it from being characterised as “lean”. There is also a notable amount of air worked into the bass making it sound expansive but not quite as diffuse and widespread as the Sennheiser Momentum’s low-frequency range. One thing lacking though is impact; whereas the DUNU DN-2000 delivers handfuls of slam and impact, the q-Jays simply extend well without possessing authority. Nevertheless, the low frequencies are still very pleasurable and decay nicely onto the lower midrange. The midrange has a very slight u-shape that makes the lower and higher frequencies either side of it have slight precedence. Though this is not an immediately obvious case as the q-Jays’ midrange is very detailed. In comparison to the Rock-it Sounds R-50, the midrange of the Jays is much less forward and in your face compared to the R-50’s more affordable offering. Both these earphones make for a very interesting comparison because although they can be both classified as reference monitors, they can be broken down into different properties that one excels in over the other. For example, I have found that the R-50’s midrange to be much airier and less confined that the q-Jay’s midrange however the q-Jays offers a thicker vocal presentation making the R-50’s sound relatively thin. Whereas the q-Jays is tonally smoother and less fatiguing than the sibilance-prone R-50s, the R-50 extracts even more micro-details and resolution making it brighter and more intelligible. Thus, I have found these two pairs of earphones to be on the opposing sides of the same intended audience; this is even evident in my EQ settings as with the q-Jays, I usually EQ up the 8k and 16k frequencies a few notches but with the R-50s, I tone down these frequencies by the same few notches to suit my personal preferences. The treble notes extend superbly with brilliant details and sparkle. The dampening filter, though, makes the treble extension succumb to the Rock-it Sounds R-50 and DN-2000J. Once again, this may be construed as a negative for those wishing for endless extension or indeed a positive for those that prefer less tonally strident yet detailed highs. With the addition of the Comply tips, the high frequency section becomes even less extensive and makes the sound signature noticeably warmer. With my preferences though, the silicone eartips provide the best choice for articulate cymbal crashes and prominent guitar riffs. The soundstage of the q-Jays is better than average, though not on the same levels as the DN-2000 or even the DN-2000J for that matter. Nothing sounds congested though, as the great instrument separation makes music seem perceivably more airy and open. Compared to the Vsonic VC1000, the Jays far surpass them in sonic projection of width and height. However, the Rock-it Sounds R-50 edge these in airiness and overall soundstage. On the mid-gain setting, the q-Jays develop a slightly wider soundstage and clarity becomes compromised for musicality, with a softer upper midrange and treble tonality. Bass notes become rounder but still lack the necessary impact to make them suitable for bass-heads. Though this earphone is easily able to be driven from just about anything, a dedicated digital audio player does give the extra oomph to make these earphones excel. The DX90, for example, allows the q-Jays to pick up even more detail in a naturally smooth sonic signature that is much better than the standard smartphone or even laptop experience. Bass becomes even tighter and tracks sound smooth yet marvellously detailed. Overall then, Jays have released a truly first-rate product with the q-Jays. The build quality is outstanding and puts many other similarly-priced offerings to shame with their innovation and practical features. There is not much to dislike based on the signature alone but preferences wise, I would have liked there to been more bass impact and treble extension. Having said that, these earphones would certainly not appeal to bassheads but people who demand fast, detailed TWFK-quality in a smooth and fatigue-resistant delivery. If that person happens to be you, you can’t really go wrong with these in-ears except for the fact that they do lean towards the more expensive side for BA earphones. The packaging, build and comfort, however, justify this price tag which many other earphones simply cannot boast. I must admit that the brand was not familiar to me at the start of this review, yet it became apparent that it is a hardworking one endeavouring to better themselves and their stance on the industry. For that and the sound alone, I must heartily commend them on their efforts and look forward to what the Swedish manufacturer have next in store. Stay tuned.